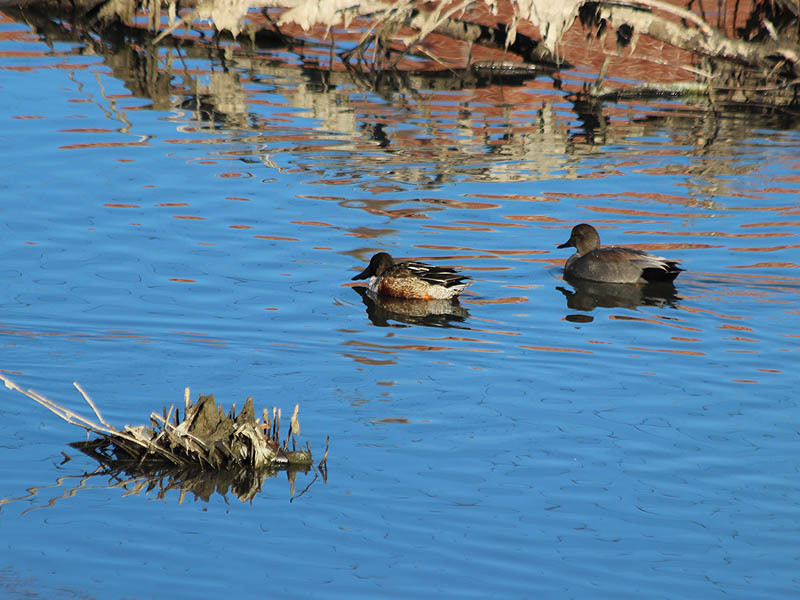 These Northern Shovelers where photographed in our neighborhood Beaver pond. This observation is of note because of the other ducks on the pond with the shovelers. Congregating with the Northern Shovelers was a small group of male and female Gadwalls. This was an interesting situation to me because I had recently read an account of a Gadwall x Northern Shoveler hybrid photographed in Fort Worth. Now, I’m not suggesting that more hybridization is going on with the group of ducks in my pictures. In this case I was only sensitive to the juxtaposition because of the posting I had read. 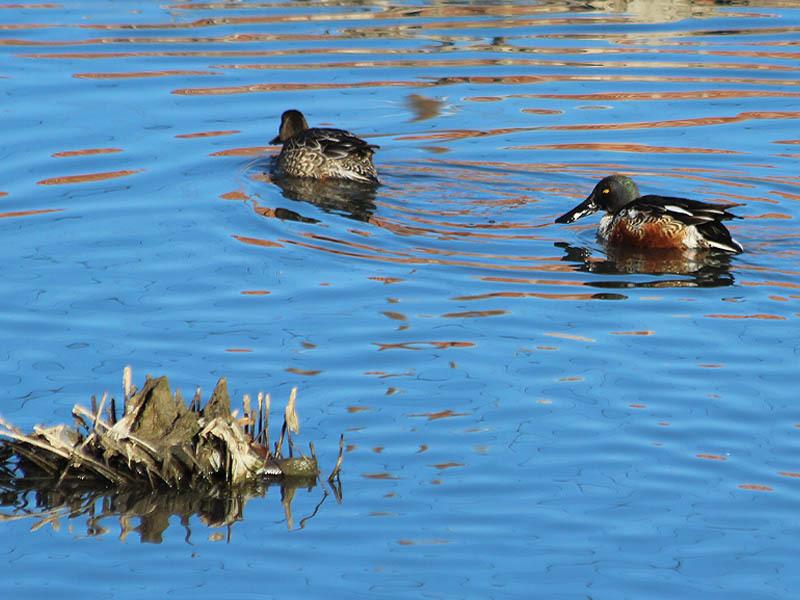 A male (right) and female (left) Northern Shoveler. 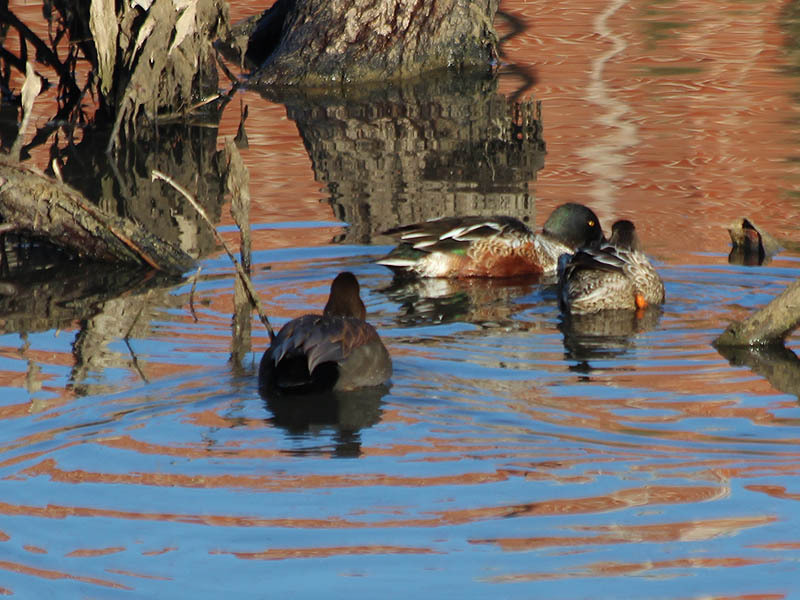 A male Northern Shoveler with a male (right) and female (left) Gadwall. A male Northern Shoveler with a male Gadwall. 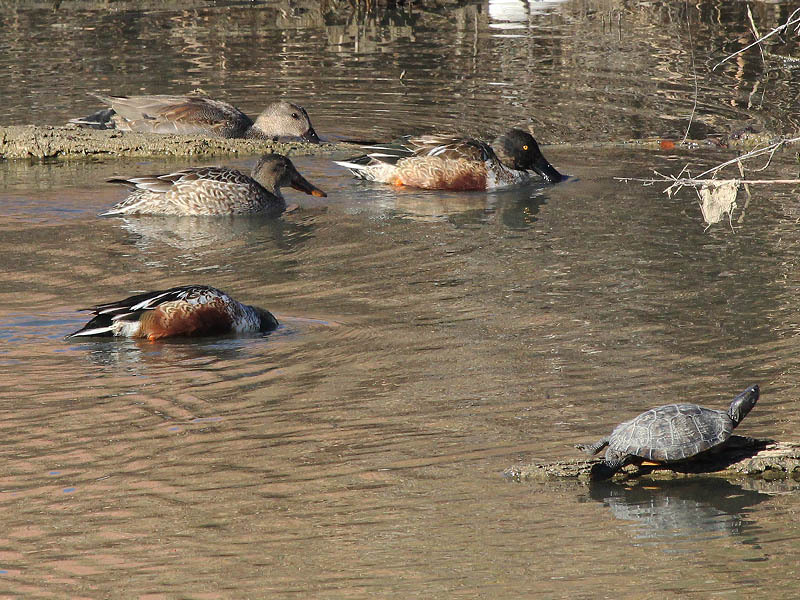 The Gadwalls often followed the Northern Shovelers. 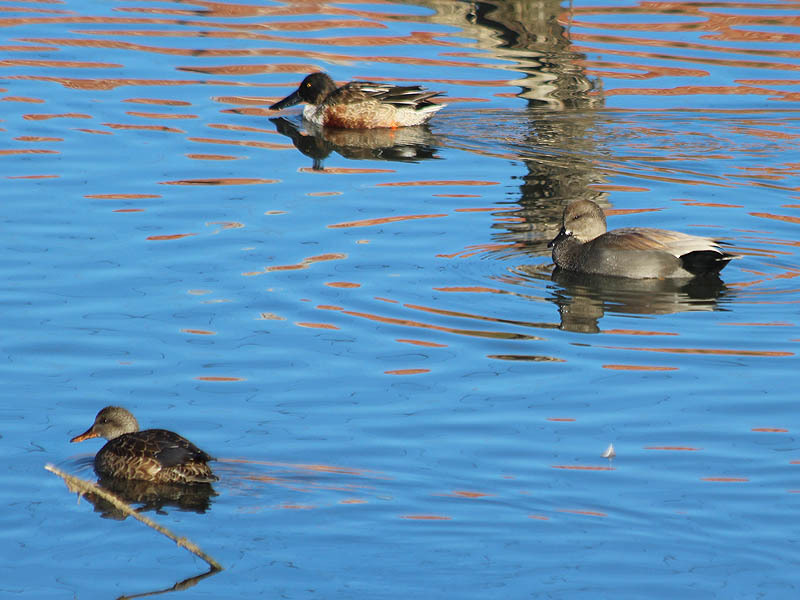 A male Gadwall swimming with two males and one female Northern Shoveler. 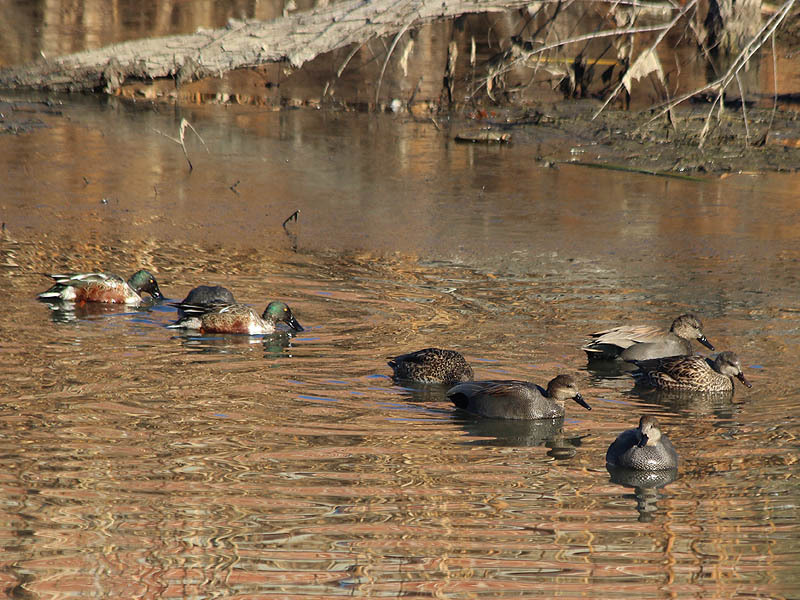 Northern Shovelers and Gadwalls Congregating together. So, what does a Gadwall x Northern Shoveler hybrid look like? You might be surprised. 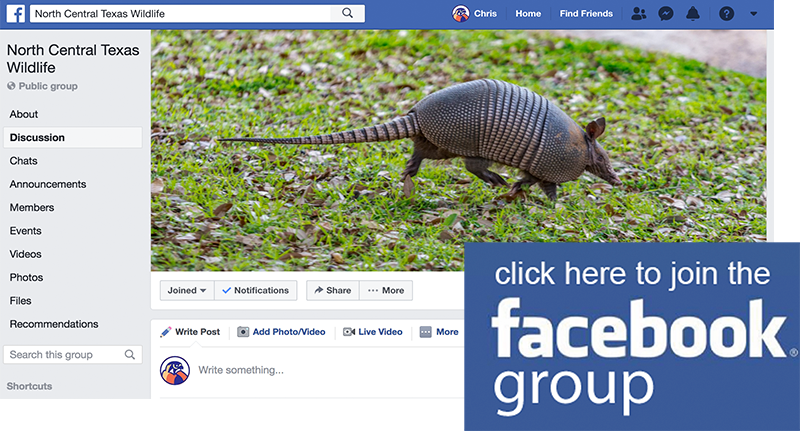 Here is a link to the discussion the Audubon Dallas website: What Duck is This?. In the first post you will find links to pictures of the hybrid duck taken by photographer, Amol Khedgikar.